eXo Platform is an open-source social-collaboration software designed for enterprises. "A complete collaboration platform that works well for our team"
eXo Platform has the full range of tools that we need to share files, ideas, resources and project status information in a streamlined and unified. The layout and design of the different menus and sections is neat and makes things easy to understand. The general look and functionality is not too different from common social media platforms. Our monthly fee per user is not too bad and gives us a good return on investment. Working with the eXo support team, especially during our setup period, was a pleasant experience. The pricing for some of the higher end plan is quite expensive. That's not something our organization would probably be able to activate. If you try to configure things on your own, without the guidance of technical support, it may be a difficult task that could take a while to sort out. I would recommend eXo as a complete work collaboration platform that gives you many features for your money. I think you'll see that it at least offers all of the common collaboration platform features that most other platforms have. eXo has provided us with a unified hub that allows us to stay on top of job assignments, project deadlines and have access to resources and group communications. Everyone is generally less stressed and frustrated since our activities and files are well-organized and accessible. For the most part, we've been able to operate more efficiently and have cut down on redundant communications and workflow processes. "Best product and collaborative tool"
his platform is constantly developing, so every week you are faced with different types of updates, which can be annoying. Plus, the app is packed with different functions, some of with you may never use. As a result the interface looks cluttered and not particularly user-friendly. Also, the integration with other applications can be complicated and requires a lot of user experience as well, as blunt luck. "Cooperate much easy than ever." I have the ability to convert our organization into a combined, efficient power to help reach its full opportunity. I like to connect my employees and give them with the tools they need to work cooperatively. I really can't say about the problem with this software, because I don't have them. It is wonderful to work with no stress and problems. With this solution everything in right place. With this software, you will rich your top step of successful cooperation. You will have a chance reincarnate your firm into a unified successful business strength by connecting your employees, date, numerical tools, and company communications in one comfortable place. Try it, for sure you will like it. With this software, we can help to transform our worker's experience, support interdepartmental cooperation. Of course, we have the perfect step of control our knowledge. We can have better the study while saving control of our budget. The software through which teams interact more, collaborate and make work faster. One document repository will help you quickly find the information and document you need. Manage your project more efficiently, using a common calendar, activity monitor, etc. We recently started working with this software, so I can not write anything wrong about eXo. If you do not want to do your work in different programs, create a bunch of identical documents, spend time on duplicating your work, then the eXo Platform is completely suitable for you: this service for teamwork, content management, social interaction, knowledge transfer and etc. You can control your business with a single software platform. I recently transferred our team to the eXo Platform, but I can already see the results from it. Since the whole team works together, they follow each other's work, correct mistakes and prompt each other. Because of this, the work has become much better. A single access point to all documents, contacts, and projects allows you to see the necessary information at any time and do not need to search everything in paper archives. ""Exo encourages social participation in my working environment."" I like the way that the eXo Platform gives a helpful interface to encouraging social participation inside the organization. This enables you to effortlessly speak with different clients and to all the more adequately chip away at tasks, basically wiping out the boundaries natural in conventional programming PM and improving execution. Exo has the best apparatuses of social collaboration. He as of late acquainted video visit with better work together continuously. I realize that not all instruments are open, they are limited.But trust me, it's adequate to have everything that you need.I'm more like than dislike.Good and simple. eXo gives an extraordinary bit of programming which makes coordinated effort less demanding. I have been searching for such an instrument which can interface representative just as out customers and one the very beginning of my associate talked about me about this stage, wow I am simply cherishing this..
"Great and easy to use." Very good platform for all my working team. I like that we can be more organized at work. Great that we know how to grow our potential at work. Tools are good and very open which helps a lot. Great software with a big choice of working tools. Much easy work with my group. Fast way to understand all of the work. Good help service which supports all the time. The good platform which will make you to cooperation with all of your working team. The great solution which will help you to focus on your important steps. Very easy to use. And good to understand. Perfect and wonderful working tools are used at work. Makes our job better and fast. We can be more organized and work more focused on our projects. We like as it helps us. "Exo facilitates social cooperation in my workplace." Exo is intuitive and has a friendly user interface ,which makes it easy to navigate around and use on a day to day basis. It has worked great for team collaboration and efficient for whenever I have needed to formulate ideas alongside others in my department.I like that Exo provides my organization with all we need from a collaboration program,thereby removing the need to use multiple collaboration platforms at the same time. I like the support structure provided by Exo and this has ensured we are never alone when we encounter hurdles while using Exo and there is always someone on the Exo support team to talk to. I have no problems as an Exo user.Provide my team with major functionalities we have come to expect from a collaboration software. Exo enable my entire team interact more,collaborate more.Thus we are able to work faster and are more organized as a group than we were without Exo. I like the fact that the eXo Platform provides a convenient interface for facilitating social cooperation within the company. This allows you to easily communicate with other users and to more effectively work on projects, essentially eliminating the barriers inherent in traditional software PM and improving performance. Exo has the best tools of social cooperation. He recently introduced video chat to better collaborate in real time. I really haven't found anything to complain about this software. It is so easy to use and offers some stunning features that really makes it easier to work. It is very advisable to create collaborative social network and realize the benefits of collaboration in real time. Exo Platform decided to issue communications and enable more effective cooperation between the project staff. "To make reach full potential"
So nice software I like that I can turn my organization into an innovative, efficient power to make reach all potential. I like to have great tools and use them at work. I know that not all tools are open, they are limited.But believe me, it's good enough to have everything that you need.I'm more like than dislike.Good and easy. Helps a lot with organization.With great tools with which we are meeting every day. It has a good interface making it easy and with more fun, for people to use. Written in Java and the structure of the code is complex requires a long immersion in the framework for the implementation of new functionality. Therefore, not everyone, even Java developers will agree to work with it. "Easy to use, collaborative efforts, effortless"
So easy when formulating ideas as a group. Allows open communication through various channels without the hassle of dialing-in or using multiple different platforms. Consolidates all the efforts among other coworkers and subscribers to our media. When we used this at Hilton, it was still in what seems beta-testing mode-- it had not fully had its full potential, but I am sure it has grown exponentially since that time. It would be nice if there was more direction, training software that people can use in order to better educate themselves on how the program works. You need to ready to commit to using the program. It requires more effort than you may originally presume and have to get all team members on board before using. It have a great combination of intranet, enterprise social network, and self-service portal, with good processing speed and comfortable use of its open source architecture. Specially the ability of collaboration helps to make the team work strong and impressive. Nothing as such now, but if in future I found something, definitely share. It is highly reliable product due to its various add-ons and features that match our needs. As it is designed for enterprise users, eXo requires substantial competence to handle integration, but once you get start using it you’ll love the possibilities. Highly programmable open source platform helps to give flexibility in creating own processes. Ho put everything on collaborative platform and make them available by easy switching. Help to manage MOMs, project reports with tracks editing history. makes easy to rollback to its previous versions. The software unifies commercial applications in a modern center, focused on the user, optimizing communications and centralizing the knowledge of the company. EXo's internal digital communication tools help the company's internal communications professional to reinvent their roles, a key player in connecting the organization and knowledge of the company. I do not see any difficulty as to give opinion, on the contrary I like software for ease, in the management of it. I recommend that the software continue with the improvement to train the staff integrated with it, thus giving to show their quality and integration of social networks. I feel that this software has improved an increase in visits to our company through this, being one of the most viewed by users in the industry. "Great software for all sorts of Collaboration"
It is Very easy to get started with. The cloud version is cheap and enables all the collaboration and social features. We are setting up exo as an intranet for one company, so far it is really great. "New user First impressions are Wow!" still trying it, want the company to benefit from leveraging existing information. "Fabulous Enterprise Social Collaboration Platform"
This is an amazing platform for the start ups and for big organizations to connect to thier employees internally.Employees can post or share thier ino on Conference they have attended or upcoming meetups etc. Believe me it is more than that,I am just loving it.Soon we are going to integrate with our startups and I would like to highly recommend to anyone who is lookign out for Enterprise Social Collaboration Platform. I was looking out for such a platform and one of my friend suggested me to go for exo platform .I am just loving this product. I do not see any dislikes as of now. This is an amazing platform.I would highly recommend to everyone. We were in a search for the right platform to connect with our employees and various clients to show case our products/updates about the company. Finally we got such a platform with which we can go ahead and integrate with our organisation..
"Uma excelente ferramenta de comunicação. " A maneira fácil de configurar o layout da página. Também é muito interessante a possibilidade de se desenvolver customizações na plataforma e principalmente por ser um projeto de grande porte e gratuito. O conceito de fluxo de trabalho nas publicações também é muito interessante, já que possibilita a divulgação em grande escala do que estamos trabalhando. Definição das permissões de segurança, às vezes, é confusa e as traduções que não estão todas prontas. Quando trabalhamos em um espaço, ficamos limitados em algumas funcionalidades, por exemplo o Wiki, onde não podemos ter mais de um Wiki dentro do mesmo espeço, ou mais de uma categoria. É interessante que no processo de implementação também tenha algum desenvolvedor para que possa melhorar alguns portlet de modo a atender necessidades específicas da empresa. Centralização das informações e base de conhecimento. Fomentação do interesse das pessoas pelo conhecimento. Com o portal também estamos conseguindo difundir arquivos que antes precisávamos mandar por e-mail e não tínhamos os históricos destes envios. "Great tool in the making... almost there..."
- The fact that you enable people to create an account or connect through Facebook, LinkedIN or Google+, where most platform only allow people from the same domain. - Activity stream is nice and beautiful, they also added that you can place an comment inline on the spot (although you must figure out that you have to click on the textbubble icon). - Documents are working great! Also with adding documents with the same name (uploading a new version), it will ask you whether to override or keep both. - Chat functionality with videoconferencing with HIGH QUALITY! - Going from a linked account (to FB, LI of G+) to a normal eXo account isn't easy. You will want to do this when you also want to use the mobile app. It took me some serious supporting of teammembers to get this done. - When you are using Tribe in combination with Facebook, LinkedIN or Google+ it takes a lot of steps to connect the app (but I managed). - Forum functionality is a bit old skool (where is to possibility to mention people). - Session time outs, I was writing a real long post that got lost when my session was closed... text gone! - The whole system feels a bit clunky. The loading of pages, dialogs and screens is not snapy and definitely not lean. I'm working in Chrome but it still feels slow. This will be one of the easiest things to improve user experience. - Integration of different modules. For example the agenda, I would like to add files that are already in documents. I couldn't find it. Also there is not rich text input. - It took us a lot of figuring out how to easily start a videoconference. And it probably only works with two people and not more (because this is something we couldn't get to work). Also having the chat screen open slows down my browser (and therefore my computer) a lot! - Searching for other member (auto-complete) is sometimes just not working. Do tryout the Tribe version. This will give you a good feeling whether this platform is the solution to your 'problem'. Together with my projectteam we are doing a project, implementing a social intranet. So sharing files, having conversations, chatting, planning meetings, etc, etc are all problems we try to 'solve'. We were looking out for a platform for social collaborations. We had developed our own tool however it doesn't give such feasibility. Then I got to know about Exo platform which can be implemented in start ups and MNCs with ease. This seems to be an amazing product. I don't think as of now I see anything which can be disliked. It has amazing features and easy to integrate. Looking forward to have a amazing experience and suggest it to other entrepreneurs. Yes I would highly recommend to others. This is an amazing product. Moreover a start up and big organization can implement. This is a wonderful platform to interact with our employees as well as with our clients. I really liked the features and functionality of this platform. I like the social feel along with different collaborative sections for team like a centralize asset management with proper user permissions and the spaces where we can have a project or semi project created for better collaboration within the team. a little bit of UI feel, it needs to be evolved on regular basis. Collaborative platform with social feeling which really gives the team to work together easily. "Amazing Enterprise Social Collaboration Platform with wonderful features"
Yes , i would definitely recommend this product to all my friends and colleagues or even my company to implement this social collaboration platform and make the most of this by gaining this amazing experience of the social collaboration. Finally we got such a platform with which we can go ahead and integrate with our organisation. "One of the best platform for social collaboration ." Great for capturing knowledge and more importantly re-using it! This is one of the best platform for social collaboration.. I would say this is a cutting edge platform for the start ups as well as the big organizations. eXo provides a lot of interesting features centered about collaboration.. It is very user friendly and nice Look and feel. I am going to give a demo to my client on this next week..
eXo provides a great piece of software which makes collaboration easier. I have been looking for such a tool which can connect employee as well as out clients and one day one of my colleague discussed me about this platform, wow I am just loving this..
"A promising (almost) all-in-one solution for a company intranet"
Integration of social network features, wiki, documents, calendars etc. in a one nice package. Installation was a breeze on a Scientific Linux 7 VPS - just downloaded the ZIP, unpacked in in /home and ran the script. No complicated setting up database accounts, Java configuration of Tomcat etc... everything comes in a kind of "portable" package. perhaps not the highest performance possible out-of-the-box, but optimal to start quickly and perhaps tweak it into a more robust solution later. Hardware requirements (4 GB RAM minimum) are quite high especially when using it in a smaller organization. Not perfect international characters support - some text fields don't accept properly Czech characters with diacritics, and URLs are not formed correctly. Trying to reduce amount of within-company emails, move discussion with more than 2 people involved to the social network / forum, instead of sending an email with dozens of people in CC. In the future migrating current knowledge base build on dokuWiki, and document server, calendars and contacts on ownCloud, to one platform that does all these jobs. "The user interface is really user-friendly, social collaboration features really helps to engage peo"
The user interface is really user friendly, social collaboration features really helps to engage people in your company. One stop for social, document management, and collaboration. It is a must have products for company who like the social ideas for employee. you can't create a page you like to share with other, otherwise you can create a "status" page to others can view and commented. But not sure can i share "status" with specific people i want to share the status with. good for company who choose socialize more with the employee. yes, for document management they have. :) really like it. "Your open source enterprise social network"
This great piece of software build on top of GateIn portal will give you all GateIn features (Content Management, Single Sign-On, LDAP support, etc) and much more. It's an enterprise social network with a lot of out of the box social features. Other solutions are closed source or too expensive to develop something similar to start with. Using eXo Platform we created a secure portal-based site and an intranet that encourages employees in an organization to exchange knowledge, documents, work collaboratively, task management, contact data... All done socially and mobile. The large and supportive Community!, The way it handles Project Management, it's simple, but still, Powerful!! Still little Marketplace for its add-ons (but growing! ), i miss some features like a Kan-ban board, Git/SVN integration. And some other stuff that wee need here in mi Company! This platform use a robust base as Java(EE) for its roots, besides, the continuous development and maturity of it's community it's a great strength for tools & platform like this! "Best platform for team collaboration "
I liked document management like sharing a documents in wall, socialization in work with teammates where we always be updated from our teams mates whats they are working and many others features. All features in products are very good, if their was some attractive color were used in UI that will be good. here we can interact with our team mates, we can be updated witn task and work we are doing we can share docs n many more thats great things which benefited to our organization as well us also. This is just a great, professional system to use. Nothing--this works quite well! We are vry happy with this system and all that it does in the work environment. All of the options available are being solving with this system. "My experience is good with EXO. I liked it." I like the chat,video call,activity feed, cloud and easily cutmoize the product.The widgets are very helpful. I like documnets folder here i can upload my documnets. Some times the application is slow.The UI is good but improve some more good alignments. Add some problem sloving games.It will keep the employee always engage.The employe brain power increases. Easily sync up with employees.sharing the knowledge b/w the employees. Employee will feel like not office.This the beat place to discuss sharing thoughts. eXo provides a lot of interesting features centered about collaboration and content with social capabilities. It makes team work much more efficient. Open Source software is mandatory for us. I was despairing to find a good social collaboration platform, when I found eXo. What a blast! It's a modern collaboration platform packed with feature. I also like the fact that our developers will be able to extend it. Nothing. This is not having any negative point. By every aspect it's very good. eXo Platform solves the information silo issue and makes information easily accessible. so an organisation can better control communications and information deliveries. "Quick Deloyment and Easy to use"
The interface is intuitive which most of the employees feel easy to use, and like to use the timeline same as facebook! The interface is a little dull, but it could be customized easily by the stylesheet. If you are enabling social platform in an organization, this is a good one to choose from with low setup cost, compare to other products. eXo Tribe is the community of eXo users and is powered by eXo Platform, so it's really great to test the product and all the new features and be supported by all the community. The platform needs a high memory consumption of the server. "eXo - suite for crowd base application"
eXo platform suites for crowed base application. It provides features for multiple file uploading in documents repository.Chat application is very good with providing video conferencing features.Calender features satisfy requirements of defining tasks, events and meetings with reminder. UI and UX is very good compare to other social platform. In older version of eXo platform some distorts UI and UX of home page but after releasing eXo platform 4.1 all bugs are fixed which some time distorts UI and UX. eXo platform matches our client's most of requirements that's why less customization is required so client's portal is getting ready with lower budget and many functionality. "An Excellent Social PM Solution"
I love the fact that eXo Platform provides a user-friendly interface to promote social collaboration within a company. It makes it extremely easy to communicate with other users and work more efficiently on projects, essentially removing the inherent barriers of traditional PM software, and facilitating productivity. I have really not found anything to complain about regarding this software. It is so easy to use, and offers some amazing features which truly make it easier to get work done efficiently. It is incredible easy to implement and is a really effective tool for boosting productivity and allowing more open collaboration and file sharing. eXo Platform has solved the problem of communication and enabled more effective collaboration between employees on projects. "eXo Platform Review by Aron Berman"
eXo Platform is very user friendly with a great user interface. eXo platform is very complete features, like IBM Connection, In one screen we can do all of the things, like wiki, blog, check for calender, etc. This product is very use full for the new Startup Company until Big Company who want to implement the collaboration solution in their company. i think this product is very use full to improve productivity with collaboration tool. 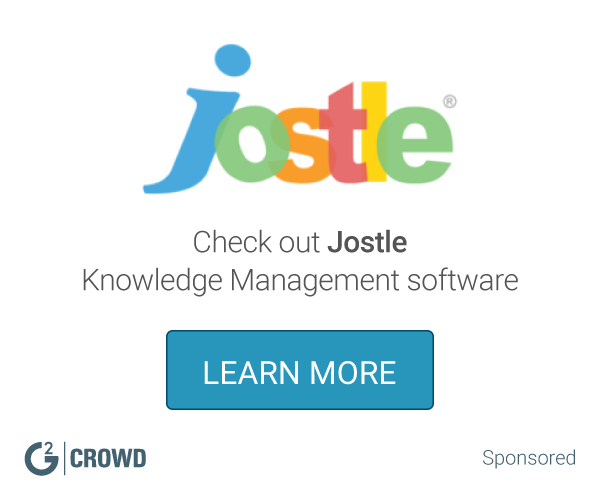 "Great Product for Knowledge Base System"
Platform is a great tool for all users, whatever their experience. The interface is easy to navigate and platform offers tons of features! i would highly recommend eXo platform to companies who are looking for a solution for intranet community. We had an archaic intranet made years ago. We had never though it could be used as a collaboration platform until we found eXo. The built-in CMS component is just perfect to mix collab and content. Best of both worlds into a single tool. "Best social media for enterprises"
The interface is probably the best feature in the eXo Platform. Having tried others, eXo beats even the "others" social media platforms. We had different platforms for Knowledge Bases, file sharing and used Notes added to documents to work together. All have being replaced by eXo in one single access. So far eXo have being perfect for our business needs. It's fast and featured rich with all the needs and more. We started using eXo as a replacement for the Social Media Networks that had been block by our IT Department. We didn't want people browsing Facebook's Networks during work hours. We then adopt eXo and realized that people were now using this platform to perform work duties, sharing and commenting files and notes. Exo Social Intranet is a excellent tool for our enterprise. It brings a great solution for our comunication needs and let our team communicate and share information very easily. Exo is a very big and easy to use tool. The Web tool is not out off the box ready and is difficult to setup. The major problem we has solved is the company communication system. Exo give us the possibility of concentrate all the communication staff in one platform, i.e. documentation, mails, messages, videoconferencing, etc. "Great Software but hard to start"
Incredible number of add-ons and features. Very good reliability. Not fully translated, making some pages bilingual. Hard to get started as it delivers a great deal of its features right away. It's a great platform with many features. I'd suggest to take your time to learn and adapt. I tried eXo and it amazed me for all the features and things you can do to better organize you company. In spite of that, I found it very hard to start using it. The amount of things on the page that demand the attention made me open a few tabs just to catch up with everything. Also, I found it hard to understand and how to actually get started. eXo is a private social intranet that makes it easy to connect and collaborate with your coworkers. Going beyond simple status updates, eXo provides tools that let you capture, organize and act on your team's internal knowledge. I looked through it but found nothing to dislike. eXo is a private social intranet that makes it easy to connect and collaborate with your coworkers. Users can easily create their own personalized dashboards with simple drag-and-drop controls, so your personalized page will display the most relevant, useful information about your work. I like that the platform is easy to use, in a way that you can concentrate on solving bigger issues. Does not connect to everything. Many times it's not an eXo issue, but it happens. We have used exo to buid an enviorment do solve problems and inner company issues. We used to have some trouble seeing solutions that other people had developed, and if the files we were uploaded had been modified. Need more improvement. they can add more functionality in it. Because of how user friendly is, I don't have to put as much 'effort' into on it. We often don't have enough time to do everything we need to do, so I really appreciate this aspect of my work being something I don't have to worry or stress about! It is just so easy to use and I know that customer service will be helpful if any issues or questions arise! eXo was easy, straightforward, and quick to set up. We had our entire organization online in less than 3 days. I'm still looking at plugins and add-ons, but just the fact that this is available makes it completely worthwhile. I would like to see customization themes for the end user. Consider the open-source community edition. Staff organization and communication. File storage with revision history. "Brilliant platform for Intranets - I recommend it"
Haven't found yet so far. I could only find it welcoming if feature list would be clearer when researching information about the script. Internal employee communication and knowledge management. "Exo for Private Social Networking"
Exo has the best social collaborative tools. It recently introduced video chat as well to collaborate better at real time. There are a lot of advantages in real time collaboration of a geographically dispersed workforce. The UI and interfaces can be improved a bit. The Android Mobile App uses an outdated or unsupported library called GreenDroid which needs to be replaced. Highly recommended to build a collaborative social network and realise the advantages of collaboration at real time. Social collaboration. We are evaluating this on a trial basis against a diverse and geographically disconnected set of professionals to collaborate at real time. 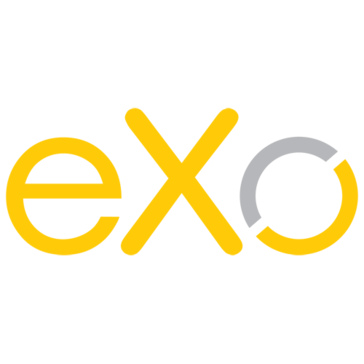 * We monitor all eXo Platform reviews to prevent fraudulent reviews and keep review quality high. We do not post reviews by company employees or direct competitors. Validated reviews require the user to submit a screenshot of the product containing their user ID, in order to verify a user is an actual user of the product. Hi there! Are you looking to implement a solution like eXo?